Dyberg Larsen has been designing and making lamps for 5 years now, together with designer Frank Kerdil. It began with the Magazin lamp, first shown at the Formland trade fair in autumn 2011. Just 2 months later followed the PineApple range with the white PP shades. This lamp is known internally as the “mother lamp” because it marked the start of our adventure in earnest, and was also the template for the many sizes and colours that have since been produced. The entire range is still laser-cut and assembled at the company's own factory in Denmark. As the e-commerce and export markets began to grow, we designed and developed a new range of lamps called ILLUMIN. If you look closely at the logo, it also reads “11 min” – the approximate time it takes to assemble the pendant. In 2015, we launched another extensive metal range on the market entitled Crayon, inspired by the top of the famous coloured pencils of the same name. This range comprises 4 sizes in 2 different colours and is available in both metal and glass. The range suits both private homes and the contract market, as it meets most lighting needs. This spring we have also introduced 3 new metal lamps, and more exciting lighting solutions are lined up for launch. We can promise that the next 5 years will be just as exciting for our business partners across Europe. Benefits of the PineApple range: Apart from its classic shape with the staggered shades that prevent glare, its look is almost sculptural and suits any room, both with and without light. 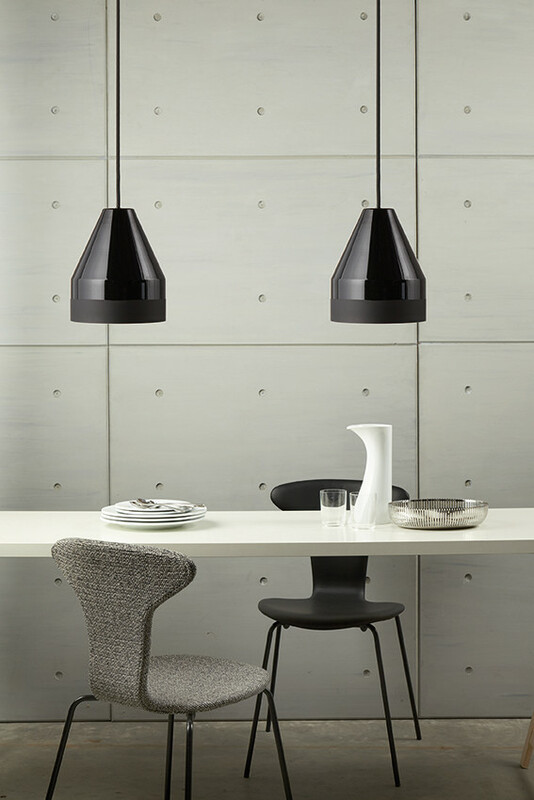 The range is highly extensive with multiple sizes and comes as pendant, table or floor lamps. Benefits of the ILLUMIN range: The range comes in a flat-pack and is very easy to assemble, especially using the instructions enclosed. The box contains all that you need: the frame, shade, socket and cable, so after approx. 11 min. you have a stunning lamp for an excellent price. The range contains more than 10 different shapes and colours. Benefits of metal lamps: All the lamps are made from strong metal and have a beautiful finish, making them easy to clean and vandal-proof. All lamps are supplied with a socket and cable, ready to hang. 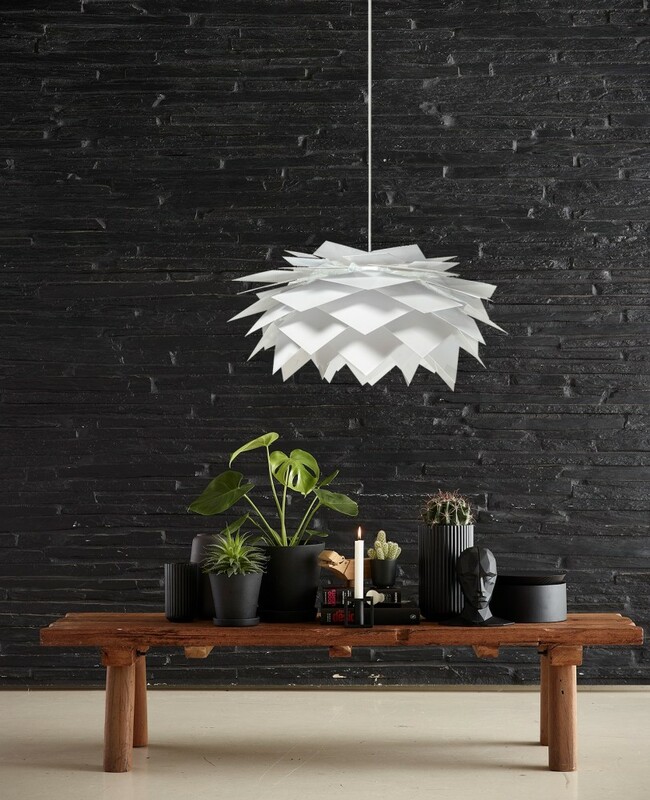 DybergLarsen’s design philosophy is to create products that reflect the Scandinavian DNA. Simple, understandable, clean, and preferably with an “edge” that make them personal. Keywords: Design, PineApple, Illumin, DybergLarsen, Elegant, Simple, Quality, Scandinavian, MadeinDenmark, Dansk Design, unique lamps, Frank Kerdil. Illumin Magazine Pendant Light - 120 pcs. Illumin Follow Your Age Pendant Light - 40 pcs.